My career as a liturgical artist has been primarily focused on the creation of commissioned projects. The costliness of the materials used and the labor intensity of the processes employed meant that those commissions were largely limited to congregations and church agencies with the financial resources to afford them. I often longed to make my work more broadly accessible. Over the course of the past several years, I transitioned my practice to the development of digital designs for commercial printing onto fabrics, which I then used to create stunning commissioned projects at a lower price point. Now, with these banner collections, I am transitioning my practice to an even more accessible price by making my digital designs available as print-on-demand fabrics in semi-custom sizes from which the purchasers create finished banners. The feedback I received from a broadly diverse group of reviewers applauded my vision, affirmed my strategy, and confirmed my conviction that nearly every faith community is gifted by at least a few persons with the basic sewing skills needed to transform these fabrics into banners. 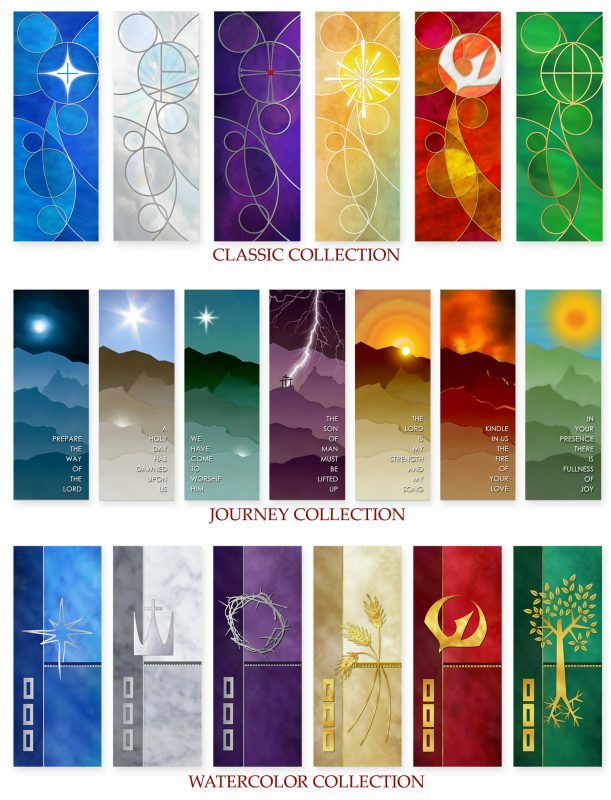 I feel blessed to have this opportunity to collaborate with local faith communities in creating quality liturgical art for their places of worship, and I'm finding that local faith communities are thrilled to have access to entire collections of beautiful liturgical banners at a price point comparable to what others used to pay for a single banner. If you are asking, “Does my faith community really have the gifts necessary to finish the fabrics into banners?” then I encourage you to review this RESOURCE. Please be assured that, together, we can do this!